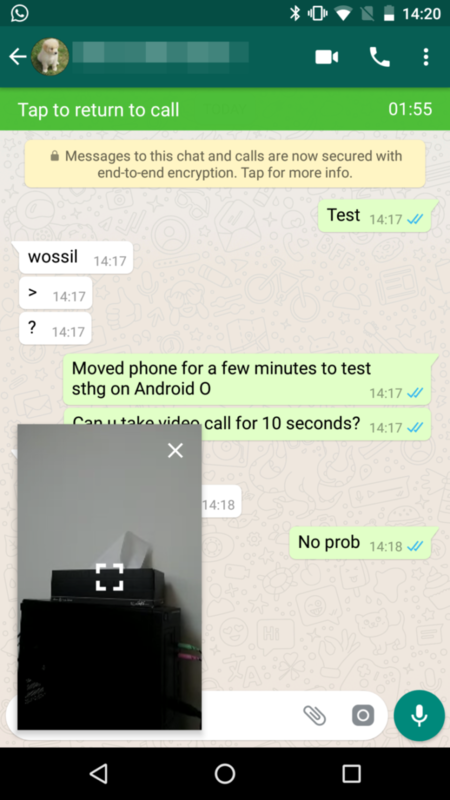 More than a year has passed now since WhatsApp began testing a PiP (Picture-in-Picture) mode. In this mode, you can watch videos from forwarded links while you’re still typing or reading texts. Now, WhatsApp PiP mode is coming to everyone on Android. Before, this was in the testing phase. Only a few users had access to this feature, present in the iOS version since January this season. Now the tool is released to everyone in the v.2.18.380 release. With PiP, you can open audio-visual content coming from Facebook, Instagram and YouTube in a small window. It continues to run as you scroll through the initial conversation screen. It works for both individual conversations and group messages. But, oddly enough, it does not work with shared clips directly via WhatsApp. To use, you do not have to change anything in Settings or install plug-ins or anything. Just start playing the material so that the extra window appears. You can also control the player, pausing or moving the video. To close, just slide the box sideways or leave the chat. As usual, it may be that you have not yet received the news. So, just make sure to keep WhatsApp up to date that should soon appear.